In August 2018, Spanish forward Jackson Martinez joined Portimonense SC (Portugal), whom he is still playing for. In Primeira Liga (Portugal), Portimonense SC is in tenth position. Jackson Martinez is two-footed just as 14% of Portimonense SC. Born on October 3, 1986, his age of 32 exceeds his team's mean. Until now, he has been present in 24 games. Standing 1.84 meter high, Jackson Martinez is larger, when looking at the average height in his team. 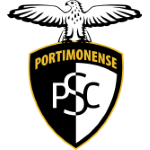 Besides Jackson Martinez, there are eight more forwards in Portimonense SC's lot: Chidera Ezeh, Aylton Boa Morte, Bruno Tabata, Wellington Carvalho, Kodai Nagashima, Ruster, Paulo Boia and Joao Carlos. His record stay with a club is Independiente Medellin (Colombia) with five years and 11 months. He played for six other professional teams. Portimonense SC's number 9 is Jackson Martinez. 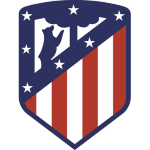 The briefest time his spent on a team counts seven months in Atletico Madrid (Spain). Before joining Portimonense SC, he impressed at FC Porto, Atletico Madrid, Jaguares de Chiapas and Independiente Medellin. 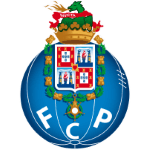 Concerning the latest matches, Jackson Martinez's club won in Primeira Liga. Yesterday he played his latest match. Considering he weighs around 165.35lb, Jackson Martinez is approximately as heavy as the average player of Portimonense SC. Primeira Liga 12/13 (Portugal) has been his best season so far since he reached both his personal highest amount of goals and played matches. He also plays for Guangzhou Evergrande. 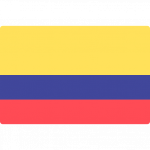 To date, collectively Jackson Martinez holds 29 penalties, of which one is red. Lately, he seems to be more quiet since less penalties were given to him than usually. On the whole, he joined the pitch 29 times and left it 46 times after the start of the match. In the present term, he played less games until end.